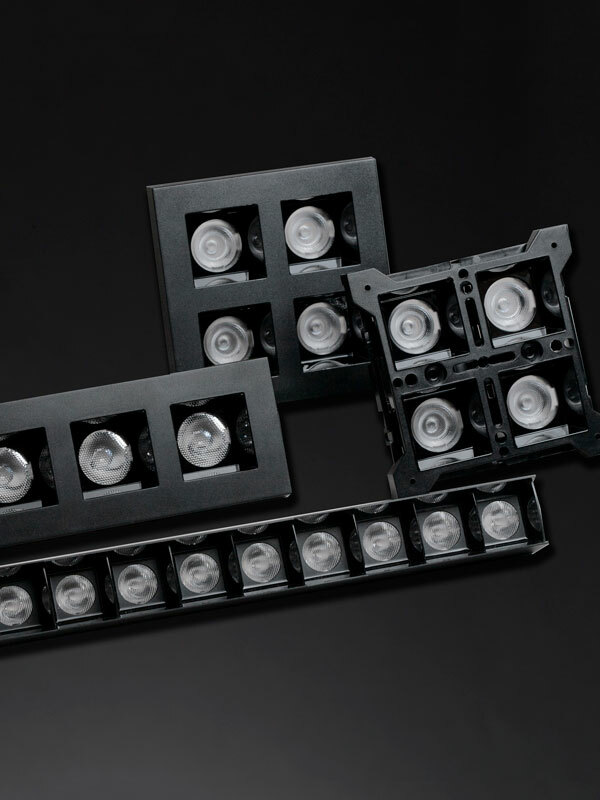 Part of LEDiL’s Dark Light (UGR less than 16) product family. 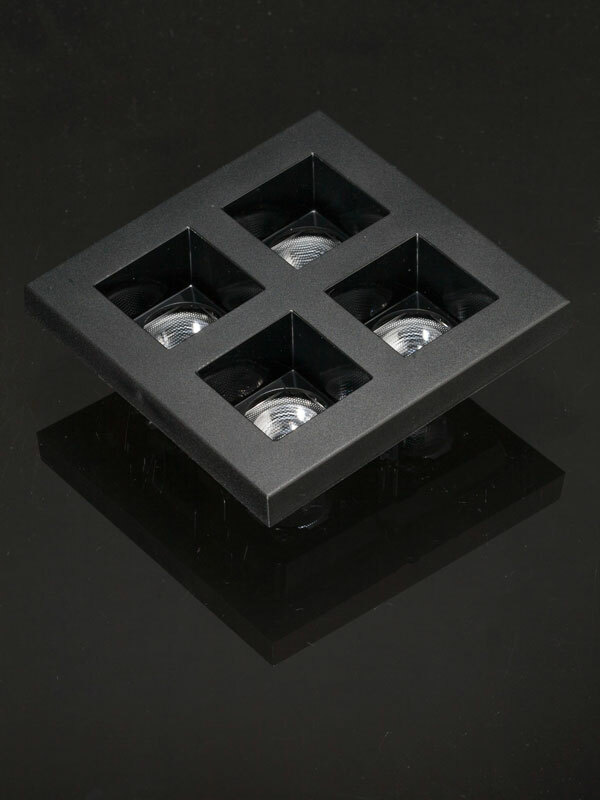 A hybrid design of a black reflector and a lens for high visual comfort in various shapes. 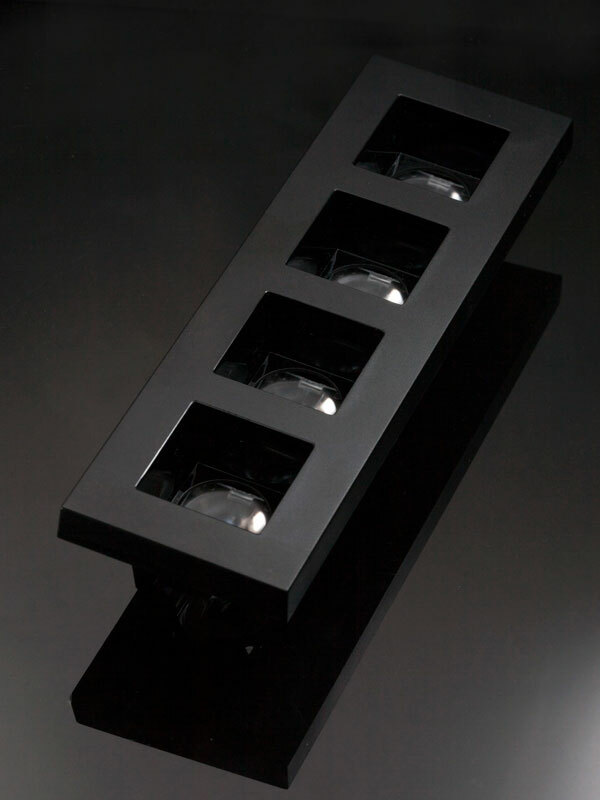 FLORENTINA-family has a hybrid design of black reflector and lenses built for high visual comfort applications. 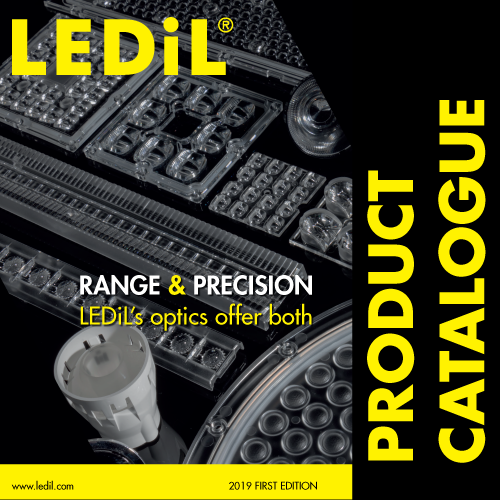 Being built around LEDiL’s previously released optical designs it has many different beam angles. 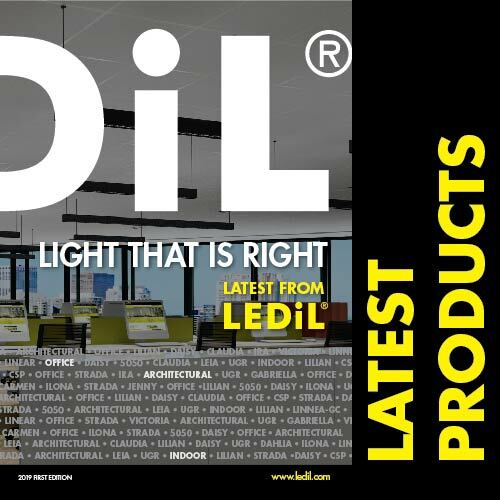 Similarly to other LEDiL Dark Light products, it reduces unwanted glare efficiently, while maintaining the optical performance required by the application. 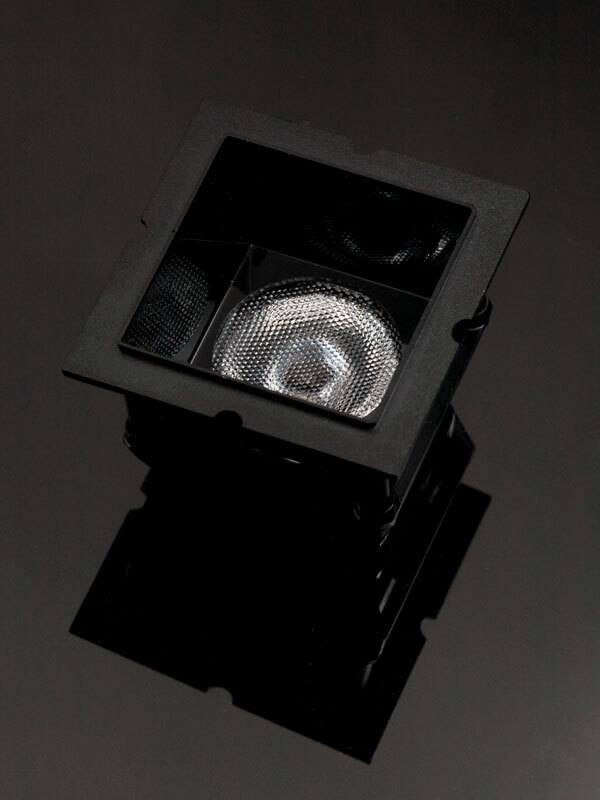 Complementing the package with FLORENTINA-OPEN, a stripped-down version of the original, to give you the full freedom for creating personalized luminaire solutions. Available with black and white shades. 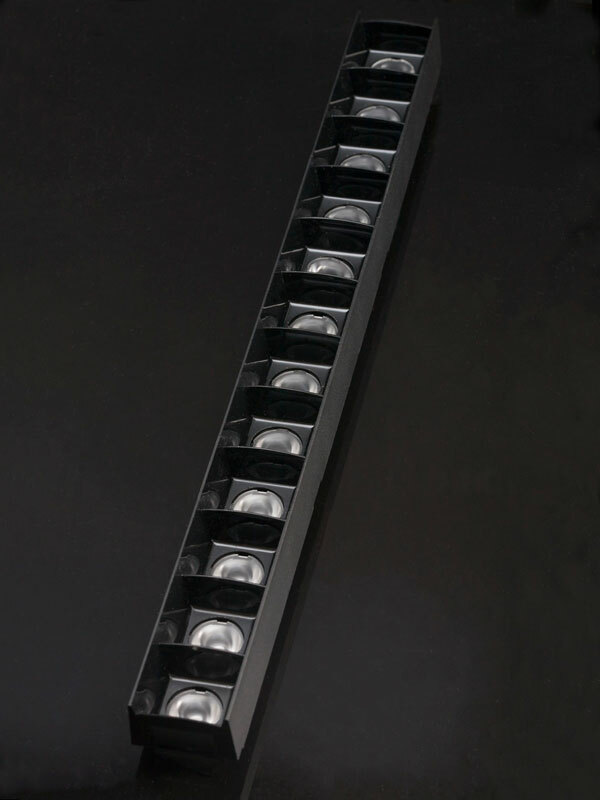 FLORENTINA-4X1 175 x 50 mm linear 4X1 modules with customizable front plates for ROSE/ROSE-MRK lenses and 3535 and 5050 size LED packages.